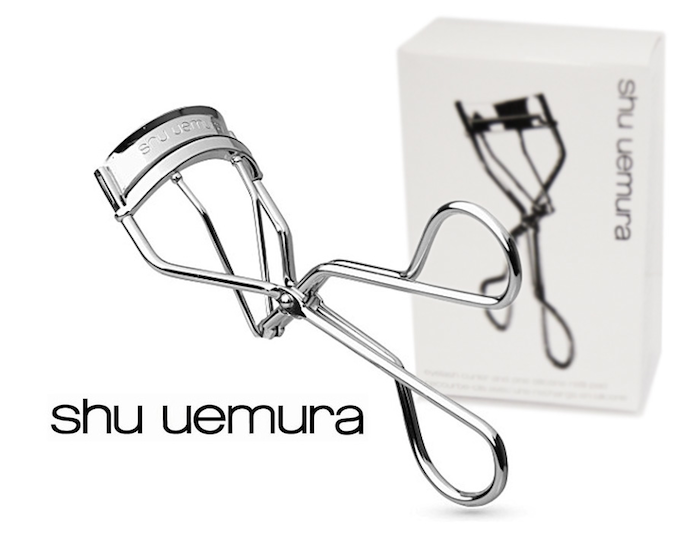 Blush and Bangs: Product I Want: Eyelash Curler! Hi loves! So since getting rid of my eyelash extensions last weekend, for the first time in 3 years (!!! ), my lashes are short, straight, and brittle. My natural lashes used to be quite long and full, so I'm trying to be patient while growing them back. However, once they grow a bit more I definitely want to invest in this product, sworn by many to be THE BEST eyelash curler out there! While it is a little pricier, around $20, it is well worth it and will not hurt your lashes, unlike other curling products out there. Also, Shu Uemura is now ONLY selling their products online from their website (HERE! ), and from my research I found that vendors claiming to sell this product on Amazon are FRAUDS, so be sure you do NOT purchase from there, but rather, only directly on the Shu Uemura website!! And let me know if there are other eyelash curlers that you guys are very happy with that are yielding great results and not hurting your lashes in the process! !